Community | Nabirm Global, LLC. At Nabirm, we strive to be an upstanding corporate entity and build strong community relationships based on respect, trust, and open communication. Reverence in consultation with communities where we do business is crucial to our efforts to integrate and be a functional member of the social fabric. Educating the disenfranchised is a priority in our social engagement policy. 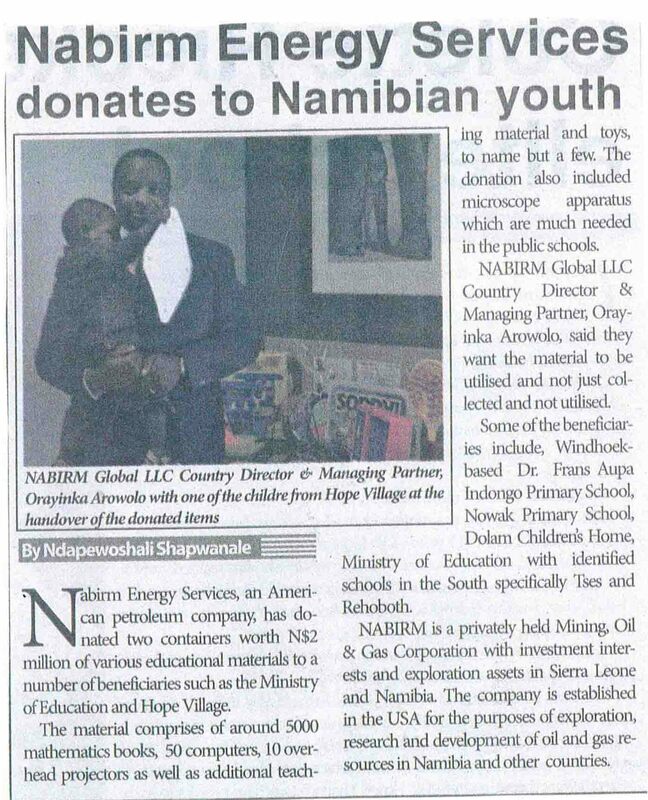 To spearhead our drive to support and add value, Nabirm donated educational materials, books, teaching aids and computers to the educational system in Namibia through the Ministry of Education. Statement to Nabirm from The Sam Nujoma Foundation. PWC Joins Nabirm’s Book Drive. Nabirm & Michigan State University. NABIRM, & Michigan State University are embarking on an agricultural project to provide food and water security in Namibia. 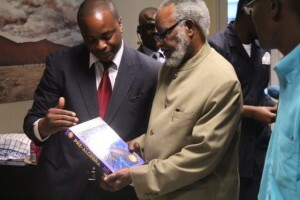 ensure that the pilot farm can serve as a “teaching farm” for faculty and students both from Polytechnic of Namibia and Michigan State University.